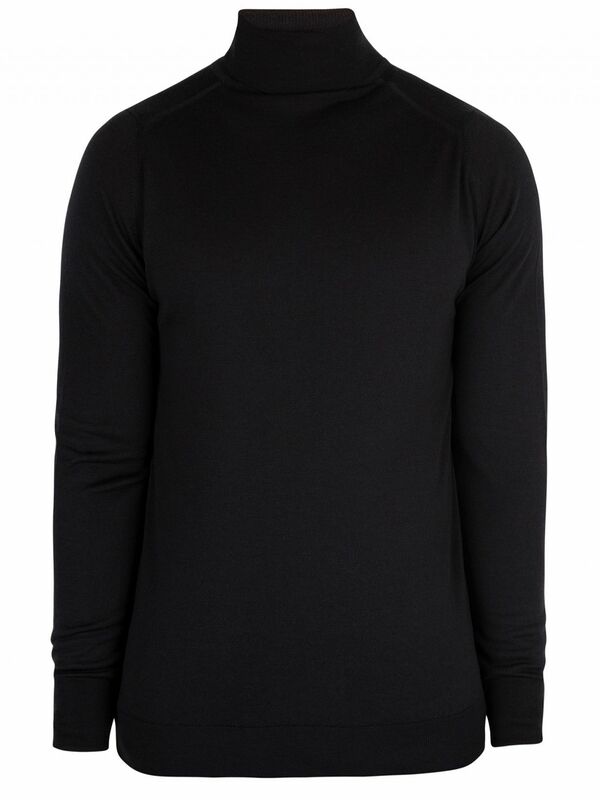 Made from extra fine wool, the Roll Neck Knit from John Smedley features a ribbed funnel neck roll style. 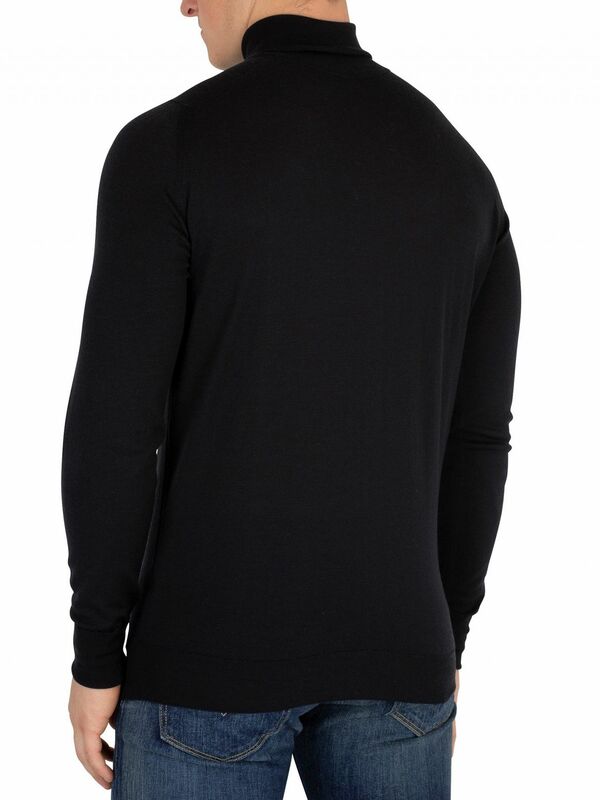 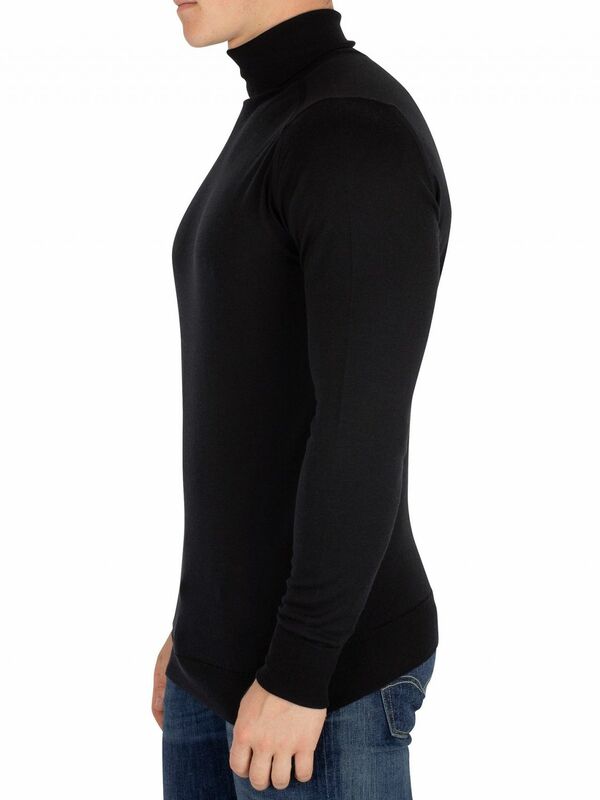 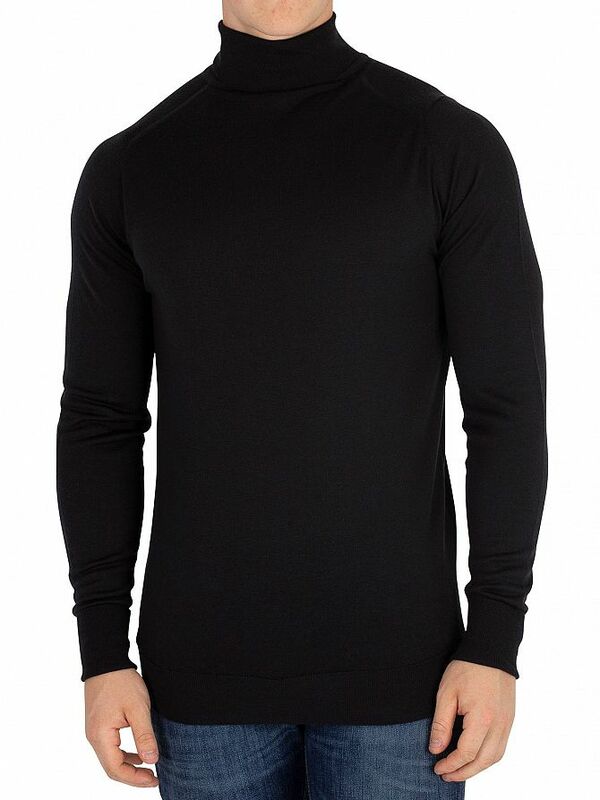 It is tailored in long sleeves that have ribbed cuffs. 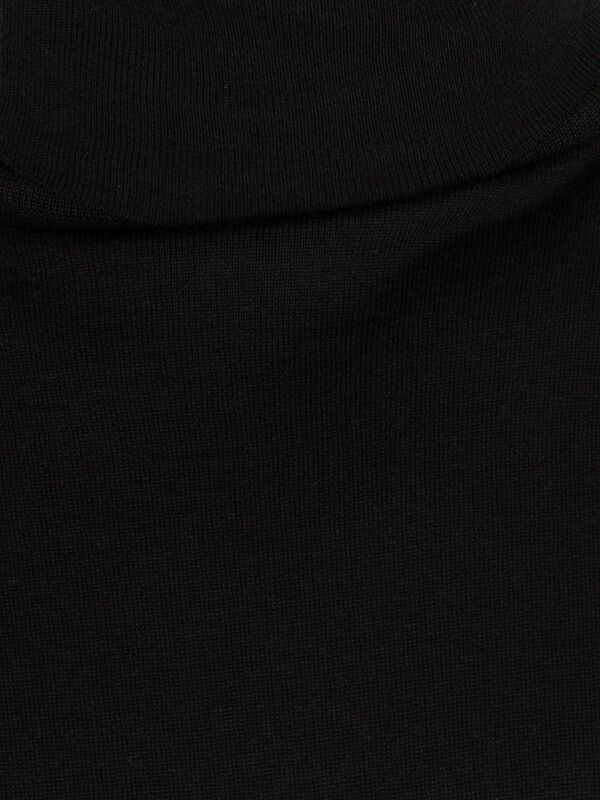 This Knit in black has a ribbed hemline.